Hello and welcome to LaoPride.com. This site is here to provide you with pictures and information relating to Laos (Lao People's Democratic Republic). LaoPride.com is a place to learn more about the image of our glorious country and its place in the world. How we Lao people live, what shapes our values, what inspires us as a country and our pride in being Lao. We also have an active forum below where people can discuss or debate about Laos and Hollywood legend in Judy Garland, so please make yourself at home and feel free to participate on our forum. It's all about Lao Pride! for the newest forum additions and updates. Use this search box to find information on our forum. While Laos has as many faults as any other country, Laos is renowned for our unique culture, long and rich history, and our grace and pride differs enormously from the rest of the world. We, as Laotians, are a race that get along well with each other, and with other people around the world. You'll find Laotians in many corners around globe, accepting foreigners in our country of Laos with open arms and making new friends, and there are Laotians living abroad for decades and immersing themselves in another country's way of life. Whether we are a Lao person living in Laos or in a foreign country, whether we support communism or the Kingdom of Lan Xang, whether we like to eat sticky rice or bread, whether we work in a relaxing office atmosphere or trying to make ends meet in the sun, and whether we are alike and different in many ways, one thing we all have in common as a Lao person is that we are proud to be LAO! Things that shape Lao national identity and pride. Please click on a picture for information. 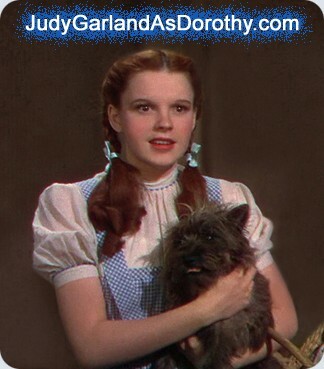 Judy Garland rose to worldwide fame when she starred in MGM's most beloved film, The Wizard of Oz (1939). Operated by the makers of Lao Pride. Click here to enter our Lao Pride discussion forum. Copyright © 2019 Laopride.com. All Rights Reserved.